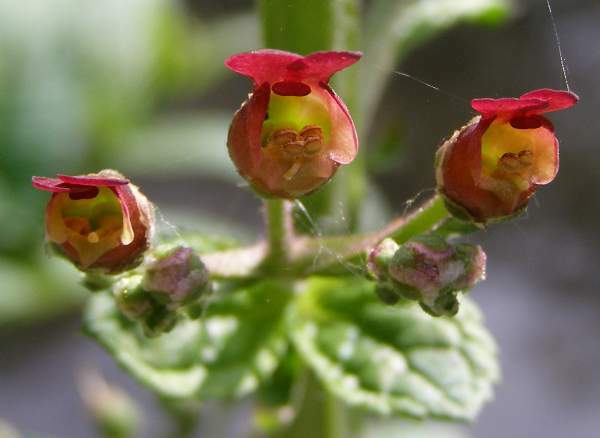 Water Figwort is common and widespread throughout the southern parts of the UK and Ireland. Found mainly beside fresh water or in marshy places, Water Figwort is occasionally found in drier places, too. The distinctive red-brown flowers of Water Figwort are brighter than those of the other figworts. 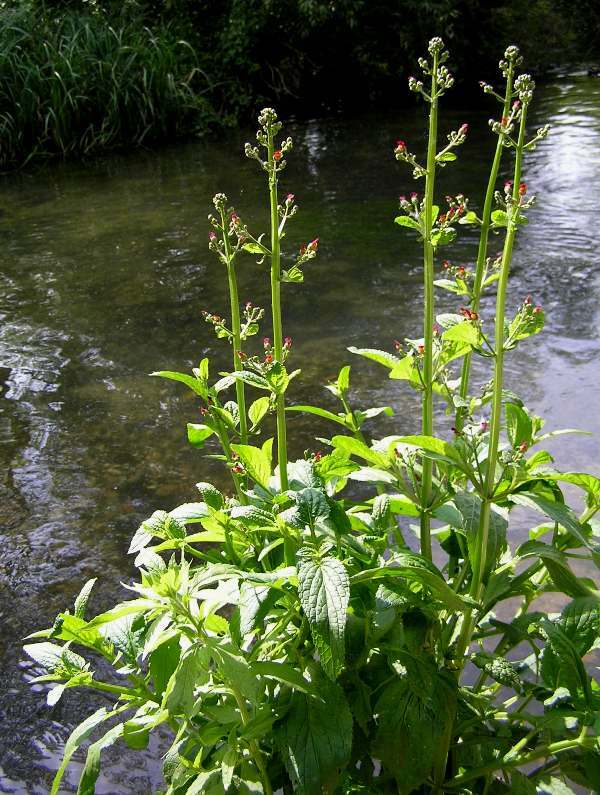 Water Figwort often grows to more than a metre in height. The genus was named Scrophularia in the belief that figworts had the power to cure scrofula, a strain of bovine tuberculosis that was particularly prevalent in the 18th century. The specific epithet auriculata, meaning ear, refers to the ear-like shape of the flower. The winged stems of this plant help to distinguish it from the otherwise very similar Common Figwort, Scrophularia nodosa, which has an overall greener flower. Just as it sounds, the specific epithet auriculata has an aural connection: it means shaped like an ear, and refers to the flowers. This specimen was photographed in Wales in July.